They claimed that CSSC had a relationship with the City of Jacksonville, Florida, that would put more than $1 billion more under their management, when, in reality, there was no basis to make any such statements. 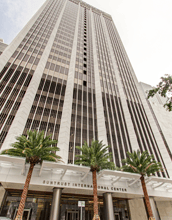 According to the bridge loan documents that were presented to investors, and have now been obtained by FINRA investigators, CSSC not only told prospective investors that the Jacksonville deal would put substantially more money under its management, but also that it would directly raise revenue, as a financial consulting contract was included as a part of the overall deal with the city. Yet, upon investigation, FINRA found no evidence that there was any Jacksonville deal, nor were there negotiations with the city. In fact, FINRA does not believe that CSSC even had the capacity to make such a deal. In total, FINRA officials believe that CSSC fraudulently raised $130,000 by making material misrepresentations to four different investors, who eventually put money into the bridge loan scheme. Two investors put $50,000 into the company, while the other two put in $20,000 and $10,000 respectively. As the firm has no basis for making the statements that it did, FINRA has charged Mr. Smith and CSSC with violations of Section 10(b) of the Exchange Act, Rule 10b-5 and a violation of FINRA Rule 2010. Were You a Victim of Fraud in South Florida? We can help. At Carlson & Associates, P.A., we have helped many investors recover full compensation for their losses. If you lost money due to broker or brokerage firm’s misrepresentations or omissions, please contact us today to schedule your fully private initial case evaluation. From our office in the heart of Miami, we serve communities throughout the region, including in Broward County, Dade County and Palm Beach County.